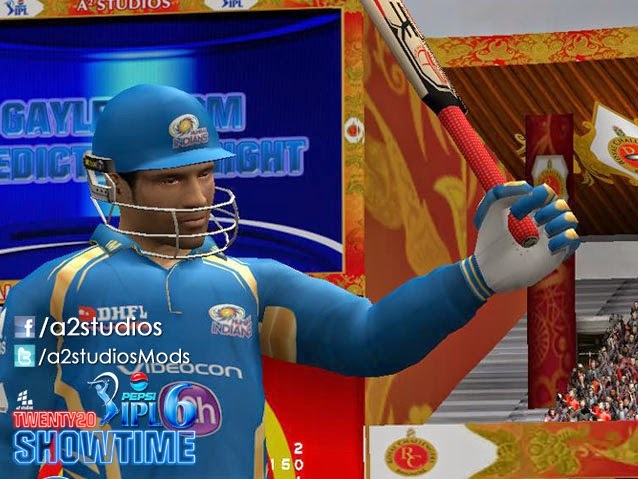 A2 Studios Pepsi IPL 6 T20 Show time Patch 2013 for Cricket 2007 DOWNLOAD NOW! 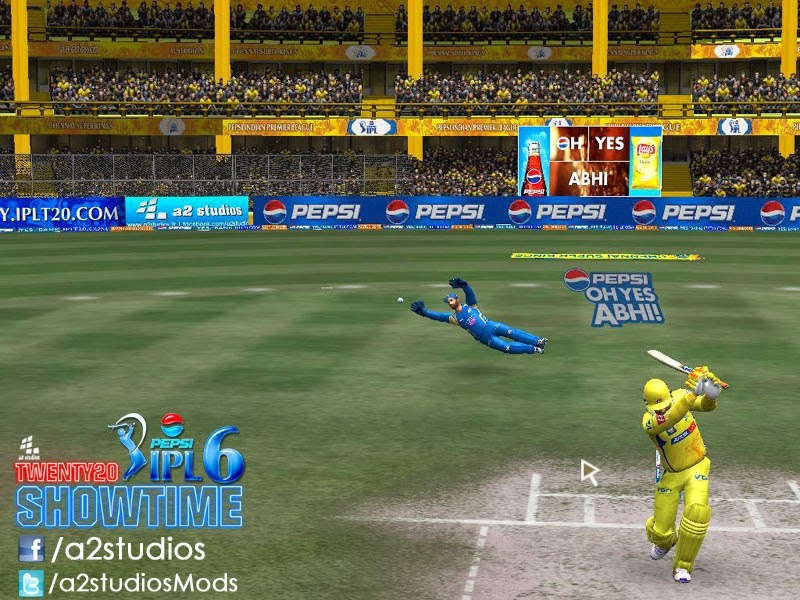 A2 Studios Pepsi IPL 6 t20 Show time Patch for EA Sports Cricket 07 is released again with one EXE file, which will make it easy for our fans to download and install by just extracting the winrar file. 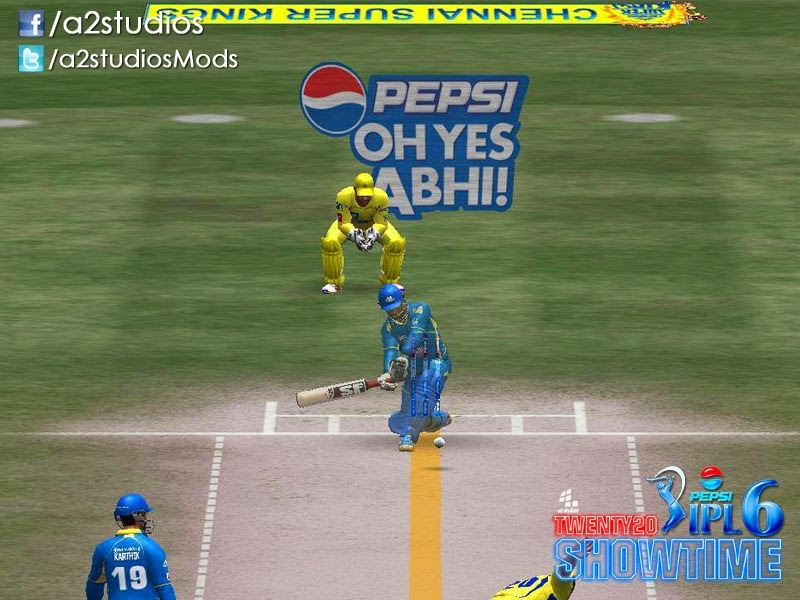 The most famous A2 Studios Pepsi IPL 6 t20 Showtime Patch contains complete overhaul of IPL franchises with 2013 Kits, accessories, home stadiums, teams lineups/roster, logos and much much more! You must download all the parts to have complete setup! After Downloading Just extract the files. Follow Read Me File for Installation Guide. 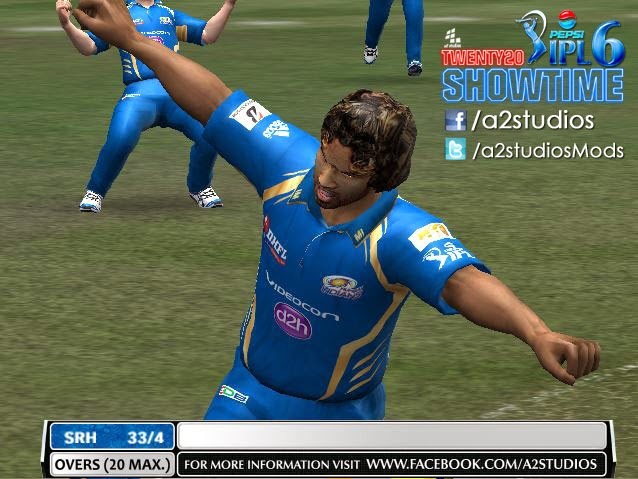 You must have EA Sports Cricket 2007 Installed in your computer. After you have downloaded the 5 Parts of the Patch (keep all parts in one folder), then just extract them. After extracting the rar file, you will have the setup in one folder. 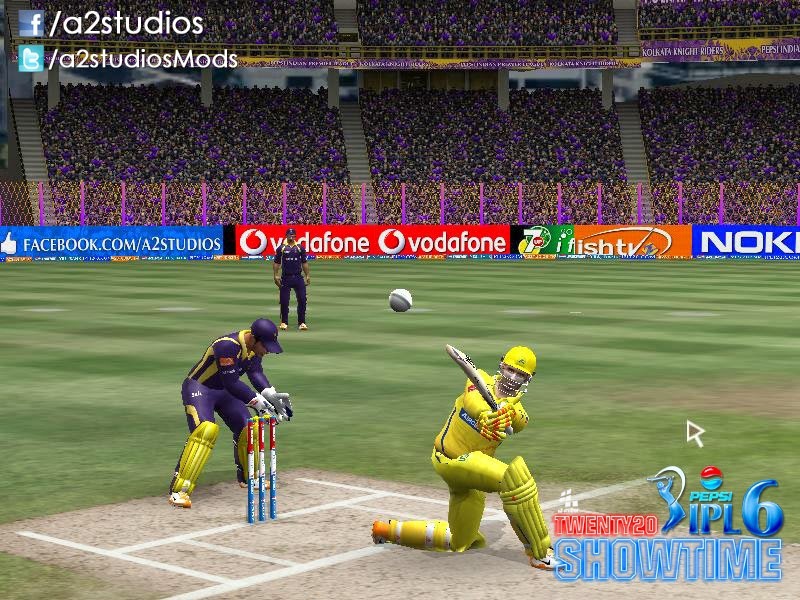 Copy "IPL6.ros” Folder and paste it into “C:\Users\XYZ\Documents\EA SPORTS(TM) Cricket 07” or “My Documents\EA SPORTS(TM) Cricket 07”. Thats it! 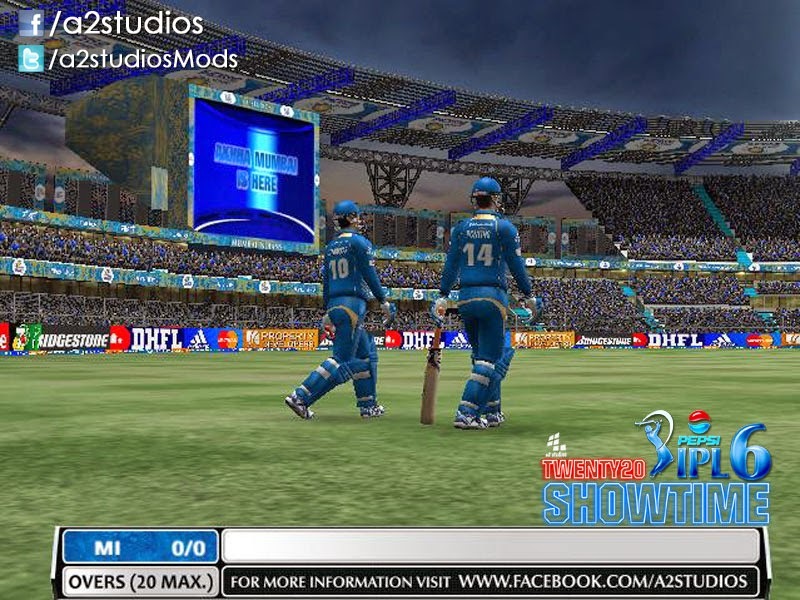 Playoff: If you are done playing league matches and have reached the final, then copy all the files from Playoff folder and paste them into your Cricket 07 Root Directory!